One of several times Rome was sacked in the 4th and 5th centuries. In the previous post I talked about the origins of modern education, and about how the book and simple literacy dominated the functions of the early university. The word ‘lecture,’ comes from the Latin word lego, ‘to read’, but also ‘to recite’. This Latin stem is interesting, because Roman orators – senators and other officials – were expected to be able to give speeches that might last for hours. These were never read, but were memorized and recited. This tradition continued into the late 19th century. All American students are familiar with Lincoln’s brief Gettysburg Address, but what few know is that Lincoln was nothing more than the follow-up speaker for the president of Harvard and the great American intellectual of the day, Edward Everett. Everett spoke that day for over two hours, entirely from memory. In order to give such speeches, the ancient Romans created an entire system of mnemonics to aid in their extensive memorization. The most popular form of mnemonics, and an approach that is still useful today, is to associate each idea or topic with an item, and then mentally place the items in a house one has visited. While remembering his speaking points, the speaker imagines walking through the house; hence the phrase, “In the first place.” So the medieval, which is an intellectual continuation of the ruins of the classical world, placed great emphasis on memorization. There were monks who committed the entire Bible to memory. But unlike the Greeks and Romans, medieval memorization took on a more concerning aspect. With the fall of Rome in the 4th century, the outposts of the empire struggled not only to maintain order, but also to make sense of it all. Perhaps the most influential Western thinker for that cataclysmic time was a bishop of Hippo Regius,1)The name is not what it appears. Hippo is not from the Greek word for ‘horse’, but from the Phoenician word ûbôn meaning ‘harbor’. Regius is, of course, Latin for King, but it refers to Numidian kings, not Roman. So the name means ‘Harbor of the Kings.’ in what is modern Tunisia. With the collapse of Rome, the faithful believed that the end of the world was near, and that Jesus would soon return to fulfill the End Times. To fortify the souls of the fearful, St. Augustine wrote his City of God, and among other things he instructed his followers in unquestioning obedience to God. The world reportedly did not end, but Augustine’s influence only grew. In the later Middle Ages, excerpts from his writings became the basis for the Rule of St. Augustine, which governed monastic life. Although monastics studied, memorized, and copied ancient texts, they were forbidden from questioning anything they learned. With that, every university student of the time knew that the word ‘lecture’ was also closely related to the Latin word lex: the law. When we add that insight with the observations from the previous post on the astronomical value of the books and how, as the touchstone of the university, books united wealth, authority, power, and theology, then we can see how incurious memorization became central to medieval education. In this way, wrote became rote:2)The two words are false cognates, and share no etymological origins. Ask me sometime, I’ll show you my poetic license. memorization became not only the model of learning in the early university, it also became the model for thinking. The mentality of memorize-don’t-think dominated intellectual life until the Renaissance. It did not disappear after the Renaissance, however, and it still dominates much of modern education. Lecture: listen, don’t respond, don’t ask; memorize, don’t analyze. If you will look back on some of my posts to date, on intellectual abuse, on the ineffectiveness of much of education, about how education is not designed around children, on our resistance to new ideas and different opinions, this post suggests a possible explanation for these conflicts and contradictions. It would appear that our problems started with medieval traditions which we have not seriously reconsidered in the last millennium. Consider that even today, we distinguish ‘book knowledge’ from ‘practical knowledge;’ and that we still use knowledge rather than analytical ability as our primary measure of intelligence from kindergarten through graduate school. In some ways, our fundamental concepts of education have not changed significantly since the darkest days of the Dark Ages. 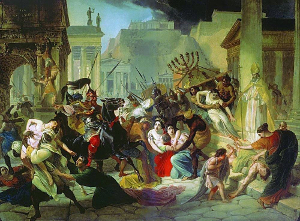 Genseric Sacking Rome by Karl Briullov, courtesy of Wikimedia.org. 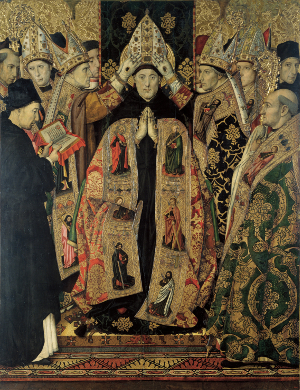 Consecration of Augustine, also courtesy of Wikimedia.org. 2. ↑ The two words are false cognates, and share no etymological origins. Ask me sometime, I’ll show you my poetic license. 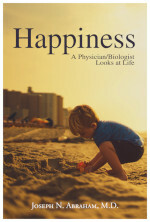 Such an interesting read! Thanks so much for the time you must put into these!! Thanks Madelyn, I appreciate the kind comment. But you see this presents a problem as he is putting too much emphasis into this rather than to the UL master plan—lol—great read Doc!! !